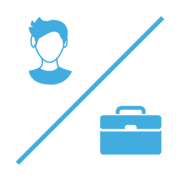 Securely access public sector data wherever you go! Government workers want the ability to check their emails, communicate with colleagues, and access data when they’re on the go. However, their reliance on mobile devices increases the risk of data being intercepted or stolen. Initially, smartphones and tablets were developed for personal use, and the intuitiveness of their interfaces was considered more important than the protection of the devices’ contents and data. If a personal mobile device is lost or stolen, it’s probably gone for good, and sensitive information can end up in the wrong hands. A corporate mobile device, in comparison, is monitored by an in-house IT department which possibly mitigates the risk of data theft. Thus, efficient protection that is not cumbersome or limiting to the user is critical for mobile devices. 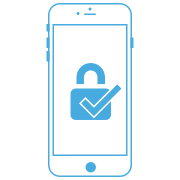 The secure Container is a mobile device application that houses all company data and processes in an isolated area. 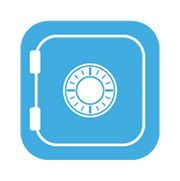 Emails, contacts, calendars, tasks, notes, browsers, documents and a secure camera are included in the Container and are shielded from unauthorized access. Communications take place via end-to-end encryption. This simple, highly efficient security solution protects sensitive public sector data and communications and increases staff productivity. 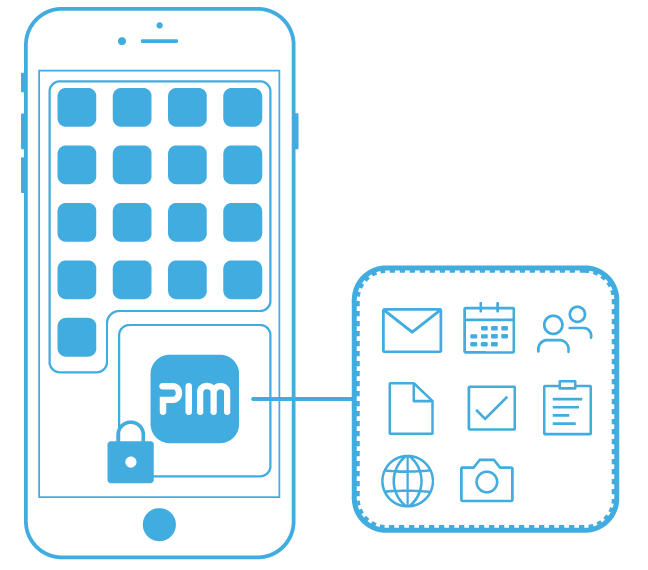 SecurePIM Government encrypts internal email communications and offers fundamental Personal Information Manager (PIM) functions such as email, contacts, calendars, document management, a secure web browser, a secure camera and protected photo albums. 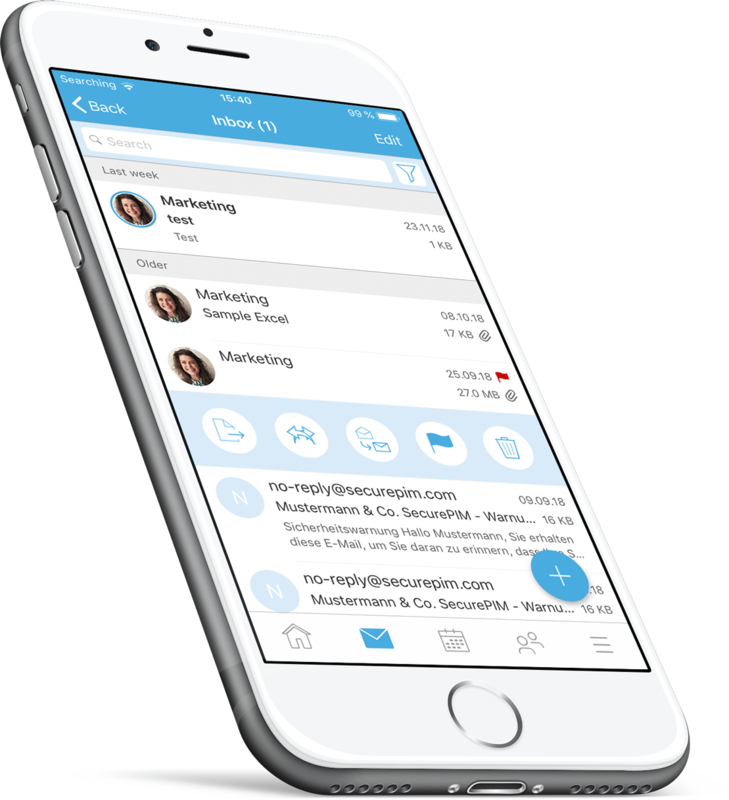 Now, your smartphone and tablet can be safely used for work – even with restricted-class data!